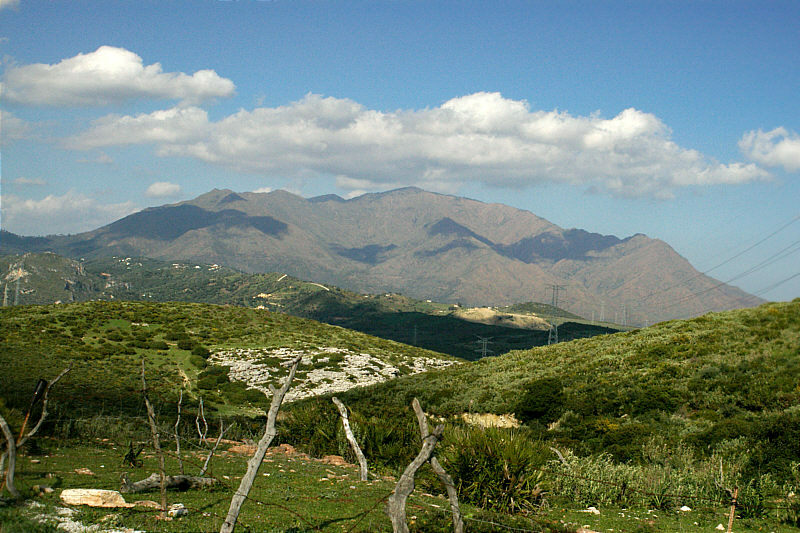 Photo: View of the Sierra Bermeja from the A-377 between San Luis de Sabinillas and Casares. Eastern Mojave Vegetation View of the Sierra Bermeja from the A-377 between San Luis de Sabinillas and Casares. As we were leaving San Luis de Sabinillas, on our way to Casares and Gaucin, we could see that the storm on the Sierra Bermeja had cleared.